Taking medications in the proper dosage and at the correct times is a critical medical process that can be the difference between living a healthy life and suffering uneeded setbacks in medical treatments. Database Systems Corp. (DSC) provides a timely and accurate reminder service to help patients properly take their medications. DSC is a leading supplier of computer software technology and contact center phone systems. DSC provides call center products and services including voice broadcasting phone services using our secure and redundant data center. Employing modern voice broadcasting systems, DSC can deliver "Take Your Pills" phone reminders to patients at any time or place. A recorded message can be delivered to either answering machines or to individuals reminding subscribers to take their prescription medication. Interactive pill reminder messages can be developed allowing subscribers to communicate using touchphone responses. Call recipients can talk with medical personnel such as doctor's office staff members if the notice requires more than a simple reminder. Custom information from medical and patient databases (such as name, medication type, prescription dosage, number of times per day, etc.) can be included in these pill reminder messages. Contact DSC to learn more about our medication reminder service and systems. DSC now provides an online signup for individuals who wish to receive medication reminder calls. Use this form to obtain information about our services with no obligation until you select a payment option. Subscribers can manage individual reminder calls by setting the dates and times for these reminder calls. Special contacts can be designated if the subscriber does not acknowledge or respond to the calls. To register online, click on Pill Reminders or the image on the right. 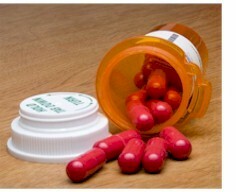 "MedAlerts uses advanced technology to call subscribers when it is time to take their medication. The state-of-the art telecommunications platform will generate an automated call to your phone when it is time to take your medication." MedAlerts is a service that uses our "take your pills" reminder services to automatically call subscribers and remind them to take their pills and medication on time as prescribed by their physician. Through our reminder service, clients are also notified to refill their prescriptions utilizing a customized message and method designed for each customer. Here are just a few phone reminder applications using our voice broadcasting systems. Contact DSC for a FREE analysis and quote and to learn more about our medication reminder service.